Zinkoff in Philadelphia, taken June 1982. Dave Zinkoff (May 15, 1910 – December 25, 1985) was a sports public address announcer. 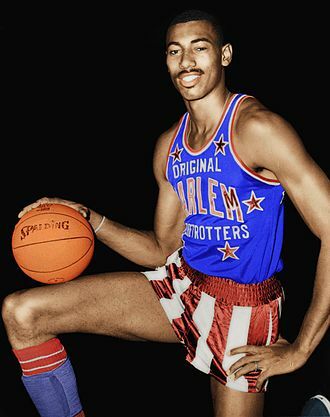 He announced for the Philadelphia Phillies at Shibe Park in the 1940s and at the Philadelphia Convention Hall for the Philadelphia Warriors, Philadelphia 76ers, and college boxing and wrestling teams from the 1950s to the early 1980s. 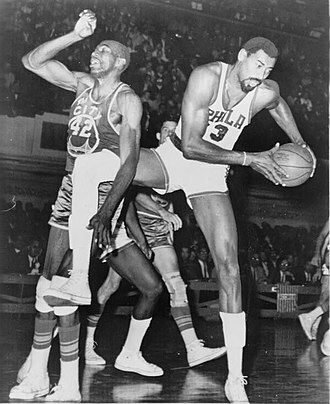 Zinkoff worked Wilt Chamberlain's 100-point game at Hershey Arena on March 2, 1962. On March 25, 1986, three months to the day after his death, the 76ers retired his microphone. Dave Zinkoff was posthumously inducted into the Broadcast Pioneers of Philadelphia Hall of Fame on November 22, 2013. Allen Ezail Iverson is an American retired professional basketball player who played for 14 seasons in the National Basketball Association. He played both the guard and point guard positions. Iverson was an eleven-time NBA All-Star, won the All-Star game MVP award in 2001 and 2005, Iverson attended Bethel High School in Hampton and was a dual-sport athlete. He earned the Associated Press High School Player of the Year award in football and basketball, and won the Division AAA Virginia state championship in both sports. After high school, Iverson attended Georgetown University for two years, where he set the record for career scoring average and won Big East Defensive Player of the Year awards both years. Following two successful years at Georgetown, Iverson declared eligibility for the 1996 NBA draft, and was selected by the Philadelphia 76ers with the first overall pick and he was named the NBA Rookie of the Year in the 1996–97 season. Winning the NBA scoring title during the 1998–99, 2000–01, 2001–02 and his regular season career scoring average of 26.7 points per game ranks sixth all-time, and his playoff career scoring average of 29.7 points per game is second only to Michael Jordan. 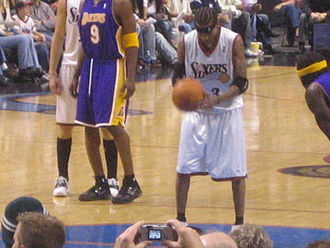 Iverson was the NBA Most Valuable Player of the 2000–01 season, Iverson represented the United States at the 2004 Summer Olympics, winning the bronze medal. 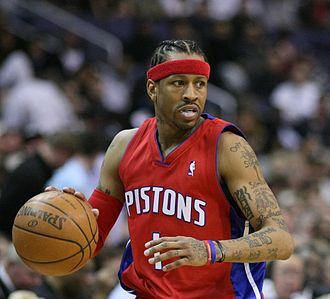 He played for the Denver Nuggets, Detroit Pistons and the Memphis Grizzlies, Iverson was rated the fifth-greatest NBA shooting guard of all time by ESPN in 2008. He officially announced his retirement from basketball on October 30,2013. On April 4,2016, Iverson was elected into the Naismith Memorial Basketball Hall of Fame. Allen Iverson was born on June 7,1975 in Hampton, Virginia to a single 15-year-old mother, Ann Iverson and he attended Bethel High School, where he started as quarterback for the school football team, while playing running back, kick returner and defensive back. He started as point guard for the basketball team. During his junior year, Allen was able to both teams to Virginia state championships, as well as earning The Associated Press High School Player of the Year award in both sports. On February 14,1993, Iverson and several of his friends were involved in an altercation with several patrons at an alley in Hampton. The War Memorial Arena is a multi-purpose arena located in Syracuse, New York. 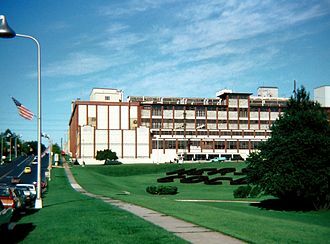 It is part of the Oncenter Complex and it was listed on the National Register of Historic Places in 1988. The War Memorial Arena is home to the Syracuse Crunch ice hockey team, previous teams to call the War Memorial home included the NBAs Syracuse Nationals, the NLLs Syracuse Smash and several now-defunct American Hockey League teams. 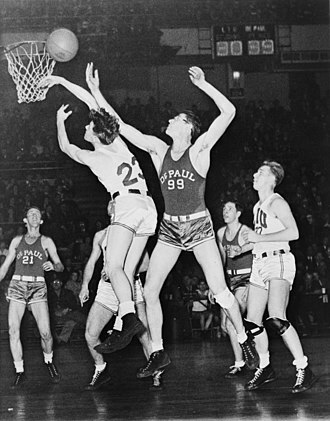 The Nationals defeated the Fort Wayne Pistons in a seventh game at home to win the 1954–55 NBA Championship. The War Memorial hosted the NBA All-Star Game in 1961, the 1977 film Slap Shot included the War Memorial among the various arenas used as shooting locations for in-game action. The Onondaga County War Memorial was home to the annual NYSPHSAA wrestling tournament in 1968, from 1970 to 1972, the championship event has since been hosted by various venues around the state. Professional wrestling has experienced its share of history at the War Memorial and it hosted the first WWF In Your House pay-per-view in 1995. Robert Clyde Bobby Jones is an American retired professional basketball player in the American Basketball Association and National Basketball Association. Bobby Jones was one of the most admired defenders ever to wear an NBA uniform, while most other players depended on the occasional thrown elbow, hip-check, or grab of the uniform to gain an advantage, Jones relied on hustle and determination. It was Jones’ stellar defense along with his other specialties such as leadership, opposing teams could ill afford to relax on defense when Jones came off the bench, and they had to work a lot harder on offense to get the ball in or even near the basket. Jones was as unselfish as a player could be, so much so that coaches had to him to take more shots. Above all, Joness value as a player was evidenced by the fact that his teams never missed the playoffs, Bobby Jones gives you two hours of his blood and goes home, former Sixers General Manager Pat Williams told NBA Today. If I was going to ask a youngster to model after someone, as for his almost polite approach to the game, Jones believed that anything less would have been downright un-Christian. If I have to play defense by holding on, thats when I quit, If I have to use an elbow to get position, I’m going to have to settle for another position. And if I foul, or if the official makes a mistake and it won’t change things or make me happier. On one of the few occasions Jones did address a referee, it was to point out that the official had called a foul on the player, it was Jones, not a teammate. The trusting ref changed his call and assigned the foul to Jones—his fifth of the game, Larry Brown, Joness coach with the Denver Nuggets, Watching Bobby Jones on the basketball court is like watching an honest man in a liars’ poker game. The 6-foot-9 forward played with an almost boyish respect for the game, its rules and he always raised his hand when called for a foul. 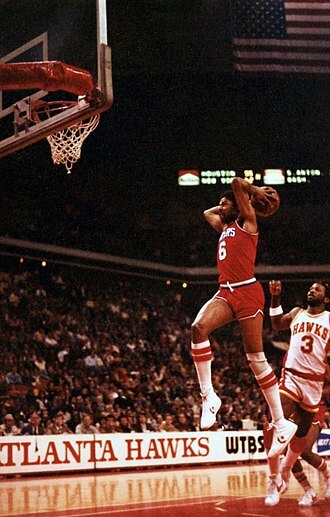 When Nuggets teammate Paul Silas showed him a way to get a rebounding position. For veterans like Paul, I consider that executive privilege, Jones said, as for vices such as drinking and cursing, they were out of the question. There were two important buildings on the site. The Commercial Museum, built in 1899, was one of the exposition buildings. The Municipal Auditorium was built in 1931, Philip H. Johnson was the architect, the site was host to national political conventions in 1900,1936,1940 and 1948. The Convention Hall arena was located at 3400 Civic Center Boulevard, on the edge of the campus of the University of Pennsylvania and it was built in 1930 and its highest capacity was approximately 12,000. The building was an Art Deco landmark, notable for its many friezes, thus the building became known as Convention Hall. Pope John Paul II, Martin Luther King and Nelson Mandela all spoke there, and The Beatles, the Philadelphia Warriors and Philadelphia 76ers both played many of their games in the arena, the 1960 NBA All-Star Game was played there. President Lyndon B. Johnson spoke at an appearance on August 29,1964 at Convention Hall. He appeared at the Hall alongside many notable Philadelphia and Pennsylvania Democratic leaders, four days later, The Beatles played the venue on September 2,1964 during their first tour of the United States. Tickets went on sale in May 1964 and sold out within 90 minutes, the Rolling Stones played Convention Hall on May 1,1965 during their third American tour. After the opening of the Spectrum in South Philadelphia in 1967, on February 5,1970, The Jackson 5 played their first official concert for Motown Records there. The building was used for Atlantic 10 Conference and Big Five basketball games. World Championship Wrestling staged professional wrestling there, which included three events, Halloween Havoc in 1989 and 1992 and the 1994 Slamboree event. The Civic Center hosted the World Hockey Associations Philadelphia Blazers, the University of Pennsylvania used the building for commencements, as did Drexel University, Temple University, and La Salle University. Convention Hall was torn down in 2005, after more than a decade without a regular tenant. The 1996 Atlantic 10 Mens basketball tournament was the last event ever held there, prior to this, afterwards, it served as a soundstage for movies and the TV series Hack starring David Morse. This is a history of the Philadelphia 76ers. The Philadelphia 76ers are an American basketball team playing in the Atlantic Division of the Eastern Conference in the National Basketball Association. The 76ers are third in NBA history in wins and playoff appearances, while in the NBL with teams largely consisting of small Midwestern towns, the Nationals put together a 21–23 record, finishing in 4th place. In the playoffs, the Nats would be beaten by the fellow upstate neighbor Rochester Royals in 4 games, in their second season, 1947–48, the Nationals would struggle, finishing in 5th place with a 24-36 record. Despite their struggles, the Nats would make the playoffs, getting swept by the Anderson Duffey Packers in 3 straight games, several teams began to leave the NBL for the BAA as the foundation for an absorption was laid. 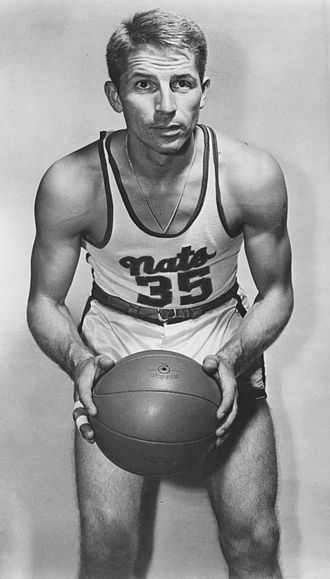 Staying in the NBL, the Nationals signed Al Cervi to be player coach as Dolph Schayes made his professional debut, in the playoffs the Nationals would make quick work of the Hammond Calumet Buccaneers, winning the series in 2 straight games. However, in the semifinals the Nats would fall to the Anderson Duffey Packers for the second season in 4 games. In 1949, the Nationals were one of seven NBL teams that were absorbed by the Basketball Association of America to form the NBA, the Nationals were an instant success in the NBA, winning the Eastern Division in the 1949–1950 season, with a league best record of 51–13. 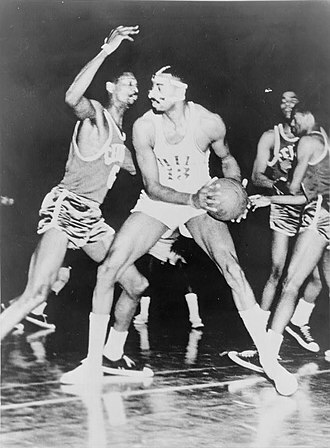 In the playoffs the Nationals continued to play basketball, beating the Philadelphia Warriors in 2 straight. 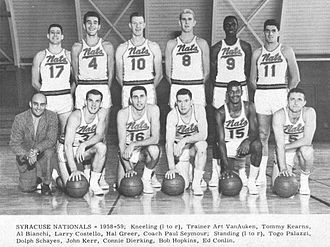 Moving on to the Eastern Finals, the Nationals battled the New York Knickerbockers, in the NBA Finals, the Nationals faced fellow NBL alums the Minneapolis Lakers. In Game 1 of the Finals the Nats lost just their home game of the season 68–66. The Nats did not recover, as they fell behind 3 games to 1 before falling in 6 games, despite several teams leaving the NBA for the National Professional Basketball League before the 1950–1951 season, the Nationals decided to stay put. In their second NBA season the Nationals played mediocre basketball all season, however, in the playoffs the Nats played their best basketball of the season as they stunned the 1st place Philadelphia Warriors in 2 straight, taking Game 1 on the road in overtime 91–89. Jada Koren Pinkett–Smith is an American actress, singer-songwriter, and businesswoman. She began her career in 1990, when she made a guest appearance in the short-lived sitcom True Colors and she starred in A Different World, produced by Bill Cosby, and she featured opposite Eddie Murphy in The Nutty Professor. She starred in films such as Menace II Society and Set It Off. Pinkett Smith launched her career in 2002, when she helped create the metal band Wicked Wisdom. Smith created a company, in addition to authoring a book. 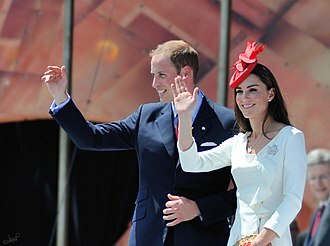 In 1997, she married actor Will Smith and they have two children and Willow. Born in Baltimore, Jada Koren Pinkett was named after her mothers favorite soap-opera actress, Pinkett Smith is of African American, West Indian and Portuguese-Jewish ancestry. Her parents are Adrienne Banfield-Jones, the nurse of an inner-city clinic in Baltimore. Banfield-Jones became pregnant in high school, the married but divorced after several months. Banfield-Jones raised Pinkett with the help of her own mother, Marion Martin Banfield, Banfield noticed her granddaughters passion for the performing arts and enrolled her in piano, tap dance, and ballet lessons. Boxing is a combat sport in which two people wearing protective gloves throw punches at each other for a predetermined set of time in a boxing ring. Amateur boxing is both an Olympic and Commonwealth Games sport and is a fixture in most international games—it has its own World Championships. Boxing is supervised by a referee over a series of one- to three-minute intervals called rounds, in the event that both fighters gain equal scores from the judges, the fight is considered a draw. 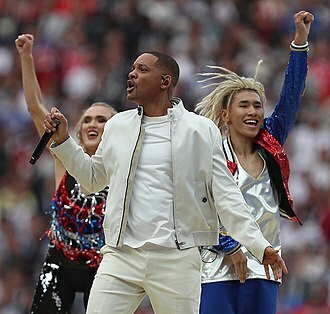 In Olympic boxing, due to the fact that a winner must be declared, in the case of a draw - the judges use technical criteria to choose the most deserving winner of the bout. While people have fought in combat since before the dawn of history. The earliest evidence for fist fighting with any kind of gloves can be found on Minoan Crete, in Ancient Greece boxing was a well developed sport and enjoyed consistent popularity. In Olympic terms, it was first introduced in the 23rd Olympiad,688 B. C, the boxers would wind leather thongs around their hands in order to protect them. There were no rounds and boxers fought until one of them acknowledged defeat or could not continue, weight categories were not used, which meant heavyweights had a tendency to dominate. It was the head of the opponent which was primarily targeted, Boxing was a popular spectator sport in Ancient Rome. In order for the fighters to protect themselves against their opponents they wrapped leather thongs around their fists, eventually harder leather was used and the thong soon became a weapon. The Romans even introduced metal studs to the thongs to make the cestus which led to a more sinister weapon called the myrmex, Fighting events were held at Roman Amphitheatres. The Roman form of boxing was often a fight until death to please the spectators who gathered at such events, especially in times, purchased slaves and trained combat performers were valuable commodities, and their lives were not given up without due consideration. 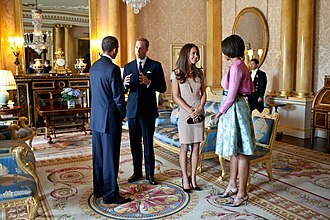 Often slaves were used against one another in a circle marked on the floor and this is where the term ring came from. Charles Wade Barkley is an American retired professional basketball player and current analyst on the television program Inside the NBA. 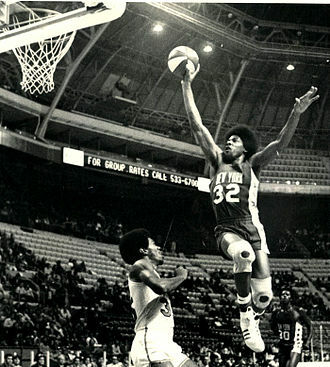 Nicknamed Chuck, Sir Charles, and The Round Mound of Rebound, an All-American center at Auburn, he was drafted as a junior by the Philadelphia 76ers with the 5th pick of the 1984 NBA draft. He was selected to the All-NBA First Team five times, the All-NBA Second Team five times and he earned eleven NBA All-Star Game appearances and was named the All-Star MVP in 1991. In 1993, he was voted the leagues Most Valuable Player and during the NBAs 50th anniversary and he competed in the 1992 and 1996 Olympic Games and won two gold medals as a member of the United States Dream Team. Barkley is an inductee into the Naismith Memorial Basketball Hall of Fame, being inducted in 2006 for his individual career. Barkley was popular with the fans and media and made the NBAs All-Interview Team for his last 13 seasons in the league, short for a power forward, Barkley used his strength and aggressiveness to become one of the NBAs most dominant rebounders. He was a player who had the ability to score, create plays. In 2000, he retired as the player in NBA history to achieve 20,000 points,10,000 rebounds and 4,000 assists. Since retiring as a player, Barkley has had a career as a television NBA analyst. He works with Turner Network Television alongside of Shaquille ONeal, Kenny Smith, and Ernie Johnson as a studio pundit for its coverage of NBA games and is a spokesman for CDW. 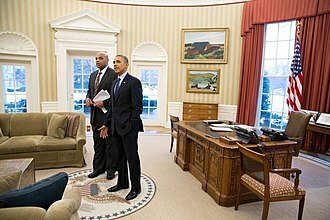 In addition, Barkley has written books and has shown an interest in politics, in October 2008, he announced that he would run for Governor of Alabama in 2014. Barkley was born and raised in Leeds, ten miles outside Birmingham, as a junior, Barkley stood 510 and weighed 220 pounds. 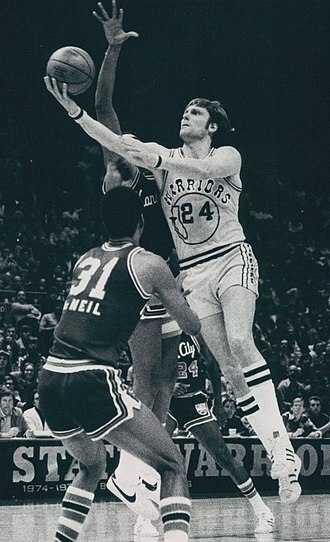 He failed to make the varsity team and was named as a reserve, during the summer Barkley grew to 64 and earned a starting position on the varsity as a senior. He averaged 19.1 points and 17.9 rebounds per game, an assistant to Auburn Universitys head coach, Sonny Smith, was at the game and reported seeing, a fat guy. Grover Cleveland Alexander in 1911. Richie "Whitey" Ashburn became one of the most beloved sports figures in Philadelphia history. Billboard ad for the arena, 1974. A special logo was used for the final season of the Spectrum's use, featuring the arena's original pre-1994 logo and nickname. Rink-side view of the Wells Fargo Center's hockey rink during a game between the Philadelphia Flyers and the Columbus Blue Jackets. The Flyers playing the New Jersey Devils at the Wells Fargo Center. The 76ers playing the Los Angeles Lakers at the Wells Fargo Center in 2016. 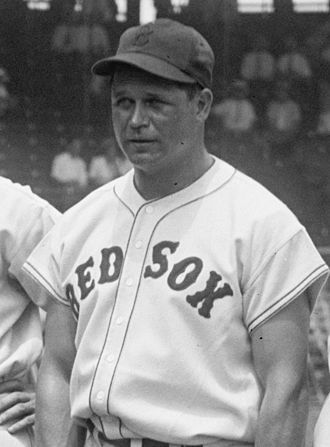 Jimmie Foxx, inducted in 2004, played for the Philadelphia Athletics. Connie Mack, longtime Manager and Owner of the Philadelphia Athletics was inducted in 2004. 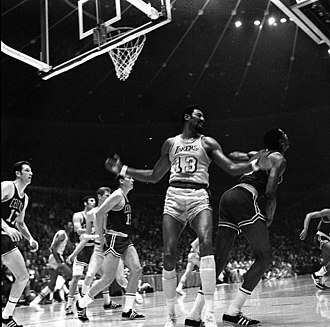 Wilt Chamberlain being defended by Bill Russell.